The tracks on this triple 'CD' are taken from a selection of concerts I have mastered and posted on this blog over this last year. I made this for a number of reasons. To celebrate the completion of this year long project (to master the entire collection of live recordings from Sigur Rós) to celebrate 100,000 hits on the blog and as a way to commemorate 10 years of the most sublime live music. The tracks I selected where chosen for the quality of the sound and performance and as a companion of sorts to the Heima OST. The tracks have been mixed in such a way that they blend into each other making a sort of 'fantasy concert' They are also tagged in such a way that CD’s should flow into each other without interruption. Thanks to everyone who has helped with this blog including many who have left kind comments, suggestions, and corrections. Thanks also to all the other artists who have given permission for me to share their music with you, and thank you for visiting and I hope enjoying some of the music presented here. I hope it moves you as it has moved me. NB: All the links are being updated. Having considered the many comments received I decided to add a third CD (now 4!) to this collection which in hindsight Im very happy to have done so ! Dear Jon, that is a lovely compilation. Takk, takk takk!!! But if I may suggest, go for a quadruple, maybe? I so miss Svo Hljott on this perfect album... And Olsen Olsen....? Please? Pretty please? I second the Olsen Olsen request, though for me the Heima OST version is still the best one and if you feel the same I can understand why you left it out of this compilation. Thanks again for all the work you do! I think the 3cd is perfect as it is BUT I may well do another 'private' one for you guys to include the particular songs you like - Any others you would want included? Thank you for this, and for everything else available on the site. Excited to listen to it. Hljómalind, Sæglópur,and Hoppípolla & Með blóðnasir. Heima would be cool but that's not played often outside the Heima promotions I think. Wow, I'm impressed. thanks for this! Any idea of when these will be up on Mediafire? If you could respond via your shoutbox I would appreciate it. wow, thanks so much for putting all this together. I definitely appreciate it! many, many thanks for all the effort you've put into making these .. and for putting them online ..
Where are those tracks without record location recorded? I know some tracks are from Heima, but not all of them. And thanks for making this. 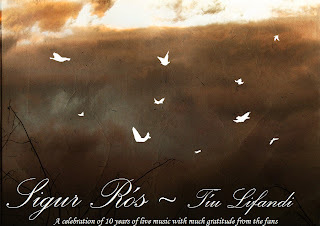 Tíu Lifandi is better than any Sigur Ros album IMAO. The first track, Mílanó, of the first CD, FLAC version, of the MediaFire link, is damaged, and cannot be unzipped. Maybe I can try by redownloading it...? The other files perfectly work. Thanks a lot and Congratulations. thank you very much for the upload and sharing! nice work, great music! Great upload but I'm having some problems with 04 Samskifa.flac on the CD 2 FINAL.v.2 - FLAC, the file is corrupt. Jonsi - Go - Website update . 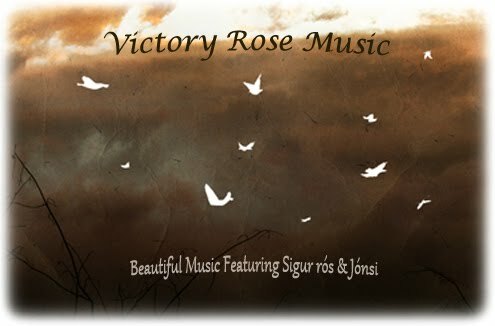 . .
'Victory Rose Loss-Less' Originally set up simply to host the lossless files it is now becoming the main site to host ALL the Sigur Rós live material FLAC/MP3/VIDEO & now Full Watchable Concerts from within the blog! Wanna know what I've been listening to?